For marketers who run their ecommerce store, ad retargeting is one of the most effective means for targeting potential customers and reaching revenue goals. Ad retargeting ensures the highest returns on their ad spend. 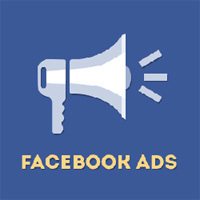 Our Facebook Ad Retargeting Services help you bring those customers back who visited your website, browsed products, even updated their cart, but left. From taking retargeting data from your site to place ads in prospects’ newsfeeds on Facebook, we do it all. Our ad retargeting team helps you to re-engage with people who visited to your ecommerce website, but abandoned the cart without making any purchase. We help marketers, especially e-commerce sellers, create stellar remarketing campaigns that will help their sales take off. Our team and tools help you set up retargeting campaigns without any hassle. We put our advanced ad management tool at work for managing large-scale campaigns, used by agencies and enterprise-level advertisers. Our automated bid management process improves digital advertising performance. A built-in bid management tool helps you optimize keyword bids easily and quickly, and eventually impacts the campaign deliverables by lowering costs and improving ROI. Real time Facebook ad tracking helps you see how your ads fit into your overall marketing scheme. It enables you optimize your strategy as you go. Keep a tab on how many conversions you’re getting and Which ads are generating the most clicks to your website. What is Facebook Retargeting and How Does It Work? The concept of Facebook remaking is pretty straight forward. Suppose Tom visits online store ‘A’ to purchase a micro SD card. Store ‘A’ tags Tom with a code that is implemented on the website to track him. If, for any reasons, Tom quits without making an actual purchase, ads from Store A pops up through tome Facebook Feed to remind him what his missing. Our audience powered Facebook AD retargeting gives you quick access of our easy-to-use self-service dashboard. It lets you perform a number of remarketing functions with ease including campaign tracking from cookie to conversion, click through rate measurement, conversions, spend and much more. We have a team of apt Facebook marketers who plan, build, manage and optimize Facebook retargeting campaigns for clients. We have a team of apt Facebook marketers who plan, build, manage and optimize Facebook retargeting campaigns for clients. Our retargeting brings the best ROI for your ad-spend since it focuses on people who are already familiar with your brand and have already visited there. Looking for the quickest way to get started with Facebook Retargeting / Remarketing Ad Campaign? or want to to set up a custom Facebook ad campaign, contact us.